In late October 2017, the news was released that Coca-Cola had applied for a self-supply water license. If granted, the self-supply license would entail that Coca-Cola is essentially allowed to supply water to itself. That would mean that Coca-Cola can bill itself for water, and deal with customer services such as meter reading. The license would also apply to Coca-Cola’s associated companies. In recent months, several companies have been granted these licenses: the first multinational company to be granted the license in the hospitality sector, for instance, was Whitbread, which is now able to supply itself with water and sewerage services. A Europe-wide dataset released in 2015 indicates that Poland, Bulgaria, and Greece are the biggest users of self-supply water in the Eurozone. It is likely that Coca-Cola’s license, if granted, will cause significant shifts in the landscape of self-supply. 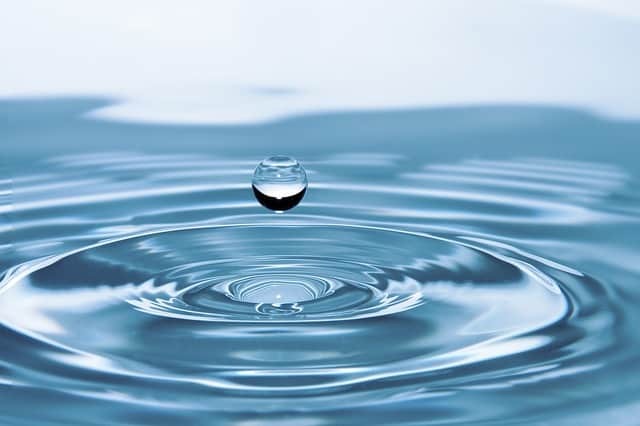 This article examines Coca-Cola’s history with regards to their water consumption and sourcing policies and practices and analyses what their ambitions for the future of water are, paying particular attention to the factors of sustainability and reliability. Coca-Cola is a company that consumes vast amounts of water: around 300 billion litres per year. This is not just because water is used as an ingredient in Coca-Cola beverages themselves, but also because the canning, bottling, sterilisation, and transportation of Coca-Cola products, including associated processes such as power generation in Coca-Cola factories, all require large amounts of water. In addition, water is needed to irrigate the fields used to grow sugar beet: a major ingredient of Coca-Cola. As a result, a small 500 ml bottle of Coca-Cola takes roughly 1.9 litres of water to make (though Coca-Cola prefers to cite their own average figure from 2013 to the effect that each litre of Coke uses 1.29 litres of water). In 2006, Coca-Cola set itself the goal of ‘replenishing’ all of the water that it uses by means of a combination of recycling equivalent amounts of water and creating new sustainable sources of fresh water for communities to use. In 2016, the company announced that it had achieved this goal. Where does Coca-Cola source their water from? Coca-Cola sources its water from all over the world. It has water extraction plants as far afield as Russia, Colombia, Guatemala, El Salvador, and India. In 2007, it was reported that Coca-Cola had been draining communities of their own water supply for use in its plants, resulting in water poverty for communities in regions such as Uttar Pradesh which is reliant on seasonal rainfall for their water. Similar stories were reported more recently in 2017, and these reports have been a feature of communities’ reactions to Coca-Cola for decades. Though much of Coca-Cola’s advertising campaign is taken up by references to their environmental stewardship, this stewardship does not usually occur in the same communities that Coca-Cola draws its water from. Coca-Cola state that as part of their water stewardship policy they recycle their water to a level that is safe for aquatic life. They then release the water back into the natural world, and it is to be hoped that it will provide habitats for aquatic organisms in lakes and other water systems. Coca-Cola’s water recycling policy does not extend to making water fit for human consumption: this process is more time consuming and costly. Water recycling treatments can take several forms, including simple filtration through charcoal or other materials, the use of biological organisms to consume harmful germs in the water, oxidation of water, and (the more heavy duty option) treating the water with chemical coagulants or other synthetic substances to ‘clean’ it ready for reuse. In recent years, Coca-Cola has been very concerned to market itself as a company that is focused on good environmental stewardship practices. Coca-Cola has always been a big spender when it comes to marketing campaigns, and its marketing budget has jumped from around $2 billion a decade ago to $3.3 billion in more recent years. Much of its current marketing materials has an environmental slant to it. The company is keen to inform consumers of its partnership with th†e WWF, for example, as well as with its engagement with local projects (such as a project to replenish English rivers and chalk streams). Coca-Cola also engages in projects such as providing wells of fresh water in remote parts of Kenya, of plunging funds into other community development initiatives. Coca-Cola argues that if they can meet their target of using 1.2 litres of water to make each bottle of their beverages, they will be the world’s most efficient maker of soft drinks. However, very often, the work being done by individual companies is more about marketing their own image. Sustainability initiatives are also coming from an industry-wide perspective. For example, the BDSA (the British body regulating soft drink production, supply, and consumption in the UK) is guiding all the leading soft drinks manufacturers to sign up to the 2025 ‘Courtauld Commitment‘ which aims to make the soft drinks industry more sustainable right across the board, by paying attention not just to reducing water consumption but also to issues such as the reduction of packaging, and the introduction of more recyclable packaging. Coca-Cola’s proposed self-supply license is part of a wider relationship with water which encompasses a professed commitment to reducing and recycling wastewater levels, and a contested relationship to the natural world. Though Coca-Cola does aim to treat as much of its wastewater as possible so that it is fit for pumping back into rivers, lakes, riparian environments, and streams, concerns have been raised about the levels of wastewater that are generated in the first place, as well as about the ways in which Coca-Cola’s water sourcing practices are at odds with their community development and environmental stewardship policies elsewhere in the world. 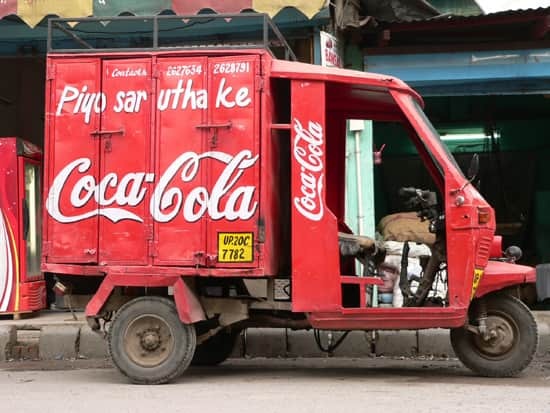 Perhaps, greater sustainability in the soft drinks industry will come not from individual brands such as Coca-Cola, but rather from top-down directives from regulatory bodies.